This month we’re starting with S. E. Hinton’s The Outsiders which I’ve not read but I know this story of teenage rebellion is considered to be a classic of young adult fiction. Albert Camus’ The Outsider is also thought of as a classic. It’s about Meursault who refuses to conform to society’s expectations showing no emotion when his mother dies or remorse at an act of violence he commits. The Outsider is also translated as The Stranger which takes me to Sarah Waters’ The Little Stranger set in a crumbling, haunted mansion lived in by the same family for two centuries. Not my favourite Waters. I much prefer Fingersmith for its brilliant twist. Which leads me to Steven Galloway’s The Confabulist about a man fascinated by magic and illusion who is convinced he’s responsible for Houdini’s death. It’s such a clever book, a magnificent illusion in itself, whose final twist is kept under wraps until the very end. Steven Galloway also wrote The Cellist of Sarajevo leading me to Patrick Gale’s Take Nothing with You which I’ve yet to read but I know it’s about a young boy who finds a passion for the cello when his mother signs him up for lessons with a glamorous teacher. Patrick Gale’s father was governor of HM Prison Camp Hill on the Isle of Wight. Patrick McGrath grew up close to another secure institution: Broadmoor Hospital where his father was the medical superintendent. His novels often explores madness, of which The Wardrobe Mistress set against the backdrop of the London theatre, is one of my favourites. This month’s Six Degrees of Separation has taken me from a teen classic to a tale of theatrical dynasty. Part of the fun of this meme is comparing the very different routes other bloggers take from each month’s starting point. If you’re interested, you can follow it on Twitter with the hashtag #6Degrees, check out the links over at Kate’s blog or perhaps even join in. This entry was posted in Random thoughts, Six Degrees of Separation and tagged Albert Camus, Angela Carter, Patrick Gale, Patrick McGrath, S E Hinton, Sarah Waters, Steven Galloway, Take Nothing with You, The Confabulist, The Little Stranger, The Outsider, The Outsiders, The Wardrobe Mistress, Wise Children on 6 October 2018 by Susan Osborne. At the beginning of 2014 I wrote one of those posts that I thought was just for my own satisfaction but which generated some interesting discussion. It was called ‘the first book of the year’ and it covered a decade of reading, all neatly recorded in a notebook that I still keep. I know we’re not yet done with 2015 but it’s a safe bet that I won’t finish another book before we are so I thought I’d write a counterpart. That first post was also a test of what I remembered about each book. So, two years further into middle-aged memory syndrome – that ‘what did I come into the kitchen for?’ state that will be all too familiar to some of you – here are a decade’s worth of my last books of the year. 2006: The Night Country by Stewart O’Nan And I’m off to a bad start here. I’m sorry to tell you that I remember little or nothing about O’Nan’s novel, although I know that it had supernatural overtones leaning towards horror. I’ve a feeling I read this in preparation for some magazine work as it hardly seems up my usual alley. 2007: Death of a Murderer by Rupert Thomson I read this because I’m a Thomson fan. No one could accuse him of endlessly ploughing the same furrow: this year’s Katherine Carlyle leapt into the twenty-first century after Secrecy‘s exploration of Medici court politics. I remember that the eponymous murderer was Myra Hindley, one of the infamous Moors Murderers, who had died several years before. 2008: Notes from an Exhibition by Patrick Gale This one’s easy. It was one of those titles that Richard and Judy made into a bestseller, naming it as one of their book club choices in the days when that meant shifting shed loads of books for booksellers. It’s about an artist, as its title suggests, whose death uncovers many secrets the revelation of which rock her family. Having been a Gale fan since The Aerodynamics of Pork way back when, it was a delight to see it race up the bestseller charts. 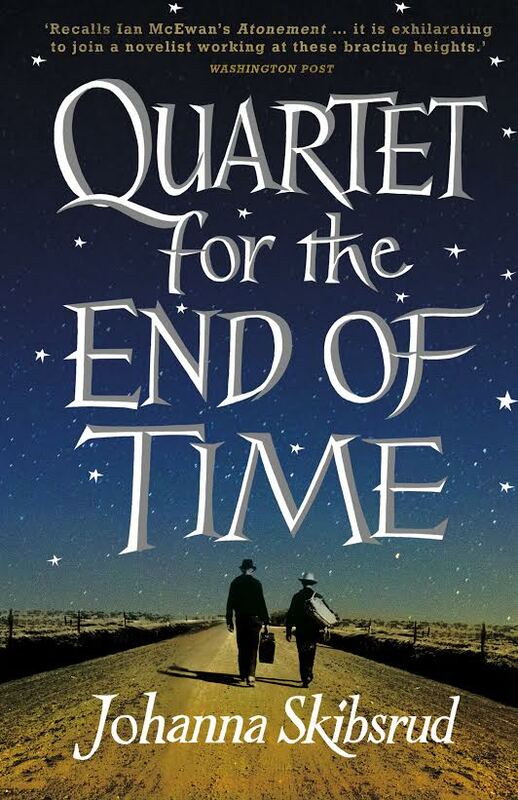 2009: First Among Sequels by Jasper Fforde I’m going to forgive myself for forgetting which particular Fforde this is. They’re very funny – the kind of books that irritate your partner as you snigger your way through them – but instantly forgettable. 2010: A Single Man by Christopher Isherwood Unusually for me these days, this was a re-read prompted by Tom Ford’s beautiful film. Set in the early ‘60s, it’s the story of a gay English professor teaching in California, left devastated by the death of his lover whose family shut him out, sweeping their relationship neatly under the carpet. 2011: A Visit from the Good Squad by Jennifer Egan I feel I should remember this in great detail – I enjoyed it very much at the time and it isn’t that long ago – but all that comes to mind is that it involved two characters from the music industry who worked together, and that it wandered about all over the world. 2013: Wild Hares and Humming Birds by Stephen Moss Not a novel, Wild Hares.. was a birthday present, given to me because of a newly awakened interest in nature writing. It’s a year of the Moss’s reflections on what he saw around him on the Somerset Levels, not a million miles away from where I live. I’d love to tell you that we, in the West Country, are beset by humming birds but the title refers to the hummingbird hawk-moth, which I remember seeing once at Abbotsbury Gardens. 2014: Blood, Bones and Butter by Gabrielle Hamilton Also not a novel, this is chef Gabrielle Hamilton’s memoir. I remember it for its gorgeous descriptions of food and the many places that Hamilton has eaten and cooked it with friends and family. It’s a glorious celebration of all those things – I’m tempted to use that tired old cliché ‘life-affirming’ to describe it. 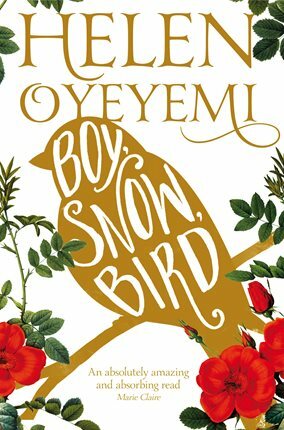 2015: We Need New Names by NoViolet Bulawayo This seems an appropriate last book for this year given Naomi over at The Writes of Women and Dan’s Twitter initiative #DiverseDecember, now extended to #ReadDiverse2016. Bulawayo’s novel is set in Zimbabwe against the backdrop of Robert Mugabe’s destruction of tens of thousands of homes in 2005, seen through the eyes of ten-year-old Darling and her friends. Darling eventually joins her aunt in America only to find life there is not quite what she expected. Both funny and heart-wrenching, it’s a strikingly vivid piece of writing. That’s my last, somewhat nerdy post of 2015. I’d love to know what your last book of the year is, present or past. This entry was posted in Random thoughts and tagged #DiverseDecember, #ReadDiverse2016, A Single Man, A Visit from the Goon Squad, Alligator, Blood Bones and Butter by Gabrielle Hamilton, Christopher Isherwood, Death of a Murderer, February, First Among Sequels, Jasper Fforde, Jennifer Egan, Katherine Carlyle, Lisa Moore, Notes from an Exhibition, Patrick Gale, Rupert Thomson, Stephen Moss, Stewart O'Nan, The Aerodynamics of Pork, The Night Country, Wild Hares and Humming Birds on 30 December 2015 by Susan Osborne. It’s time for another issue of the wonderful Shiny New Books, stuffed full of interviews, articles and reviews by some of my favourite bloggers and this ones a celebratory issue: it’s their first birthday. Such a lot of hard work, energy and talent have been poured into this project. It’s been a delight to be associated with it. 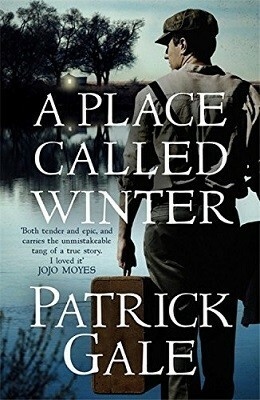 My own contribution to the fifth issue is a review of Patrick Gale’s A Place Called Winter, the latest novel in a long writing career made illustrious by Richard and Judy whose choice of Notes from an Exhibition for their book club thrust Gale into the spotlight in 2007. Those of us who’d been enjoying his well turned out, humane and absorbing novels for some time could only be surprised that it hadn’t happened before. This one is intensely personal: it’s based upon family stories of Gale’s ancestor Harry who fled looming disgrace in England to farm a few bleak acres in Canada. If you’d like to know more why not pop over to Shiny New books where you can read the full review and explore all manner of other delights. This entry was posted in News, Reviews and tagged A Place Called Winter, Canada, Gay fiction, Patrick Gale, Shiny New Books, Tinder Press, twentieth century fiction on 8 April 2015 by Susan Osborne. Such are the many temptations in March’s publishing schedules that this is going to be a long post, I’m afraid. 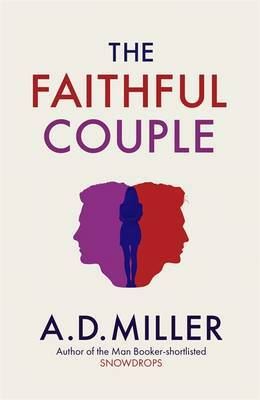 I’ll begin with A. D. Miller’s The Faithful Couple as it’s the one I’m looking forward to most. That name may ring a few bells for some readers – he’s the author of Snowdrops a hugely successful literary thriller set in Moscow in the 1990s published back in 2010. This one sounds entirely different. It begins in 1993 with two British men, Neil and Adam, who meet on holiday in California and go on a camping trip together which will throw a shadow over both of them. The novel follows them over the next two decades reflecting and refracting London through their lives and friendship until the truth of that trip emerges. I always find this kind of structure particularly attractive and I enjoyed Snowdrops very much. Patrick Gale needs no introduction after the rip-roaring success of the Richard and Judy (remember all that?) bestseller Notes from an Exhibition. A Place Called Winter is based on his own family history, telling the story of Henry Cane, forced by scandal to emigrate to the Canadian prairies where he sets up as a farmer in the eponymous settlement. According to the publisher it’s ‘an epic, intimate human drama, both brutal and breathtaking. It is a novel of secrets, sexuality and, ultimately, of great love’. A grand claim but I’ve yet to read a Gale that I didn’t enjoy. 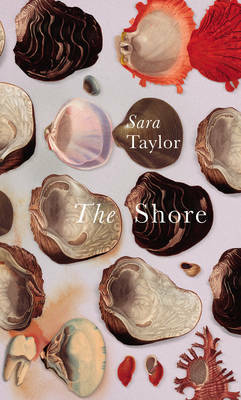 Sara Taylor’s debut The Shore is more a set of interconnecting stories than a novel. It spans a century and a half in the lives of the inhabitants of a group of small islands off the coast of Virginia. I’m not a short story fan, I’m afraid – I prefer something to get my teeth into – but when they’re linked in this way they can work extraordinarily well, as the aforementioned Perfect Lives did for me, and I like the sound of the setting very much. Lots of comparisons in the blurb, including one to Cloud Atlas, but I’m not letting that put me off. I have to confess I don’t remember Judith Claire Mitchell’s The Last Days of Winter which was published ten years ago but A Reunion of Ghosts sounds right up my street. Three sisters living together in a New York apartment at the end of the last century have decided to kill themselves. It’s something of a family tradition, so it seems, beginning with their great-grandmother, the wife of a Jewish Nobel Prize-winning chemist who developed the poison gas used in both world wars. A little on the dark side, admittedly, but it sounds fascinating. I spotted the jacket of Molly McGrann’s The Ladies of the House on Twitter and couldn’t resist it. Reading the blurb it seemed even better: One hot July day three elderly people are found dead in a rundown house in Primrose Hill. Spotting the story in the paper Marie Gillies feels she is somehow to blame. 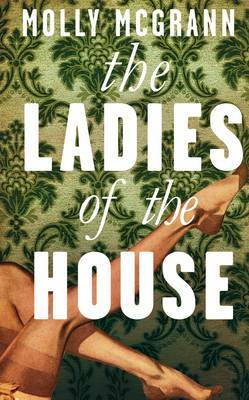 McGrann’s novel pieces together what has happened, entering the secret world of the ladies of the house. It comes from the editor who brought us two of my books of 2014: The Miniaturist and Shotgun Lovesongs. Enough said, for me, anyway. And finally, Anna Gavalda’s Billie has already been a huge seller in France. It’s the story of two unlikely friends: Franck, a bright, sensitive young boy with a bigoted father and a depressed mother, and Bille, desperate to escape her abusive family. Billie tells Franck her story when they find themselves trapped in a mountain gorge on holiday. I loved Gavalda’s Consolation and her Hunting and Gathering – she has a light touch with storytelling which I’m hoping to see more of in Billie. Phew! That’s it for March, and if you’ve yet to catch up with February here are the hardbacks and here are the paperbacks. 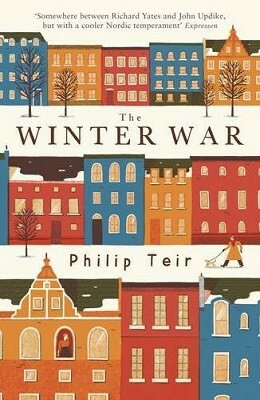 This entry was posted in Random thoughts, Reviews and tagged A Place Called Winter, A Reunion of Ghosts, A. D. Miller, Anna Gavalda, Billie, Books published in March 2015, Hausfrau, Jill Alexander Essbaum, Judith Claire Mitchell, Molly McGrann, Patrick Gale, Polly Samson, Sara Taylor, The Faithful Couple, The Kindness, The Ladies of the House, The Shore on 9 February 2015 by Susan Osborne.